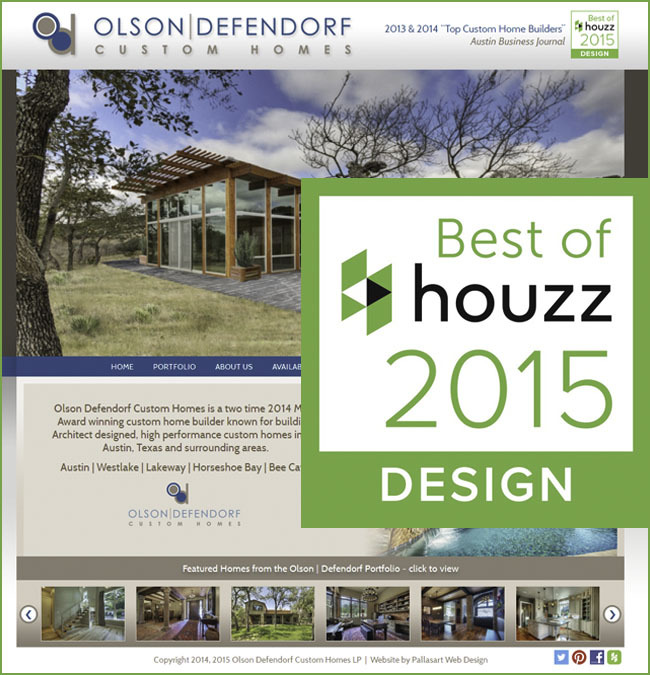 The Houzz award is highly sought after. It is given in two categories, Customer Service and Design. Design award winners are selected from the most popular on Houzz which receives more than 25 million visitors a month. You can win awards like this, too. Contact Pallasart to discuss your a new site for your company or an upgrade of an existing one. If you are a Texas home builder or remodeler we can bring our unique experience building websites for Texas businesses to your company, too!